a general feature of capitalist development. It is illusory to believe that under the dominance of the capitalist mode of production a spatially even development would ever be possible. Rather, the current monetary regime reinforces the cycles of capitalist crisis. EU decreased due to a strong growth of capital flows toward the periphery. Because inflation rates in Europe’s periphery were higher than in the centre, the ECB’s key interest rate led to lower actual interest rates in the periphery and this provided an incentive to borrow and hence to greater growth than in the centre (Heine/Herr 2006: 367). However, this financialized form of development was not sustainable. Since the outbreak of the crisis, financial integration has begun to unravel, and the differences in structures of production are again gaining greater importance. Austerity policies underpin this unequal development. Currency devaluations, typically used by less competitive nations as a mechanism to adapt to changing world market conditions, are not an option within the euro area, pressure is therefore chiefly on wages and working conditions. Furthermore, the monetary union has no adequate fiscal clearing mechanism. The budget of the European Commission is negligible compared to the budgets of individual member states. This form of integration, however, is not a product of chance; it was intended. Historically, it was imposed by the dominant groups in Germany and is in the interests of capital in as far as it puts pressure on and disciplines wage earners across Europe (see Stützle 2013; Milios/Sotiropoulos 2013). The unequal development of the euro area increases the pressure to reform or abandon monetary union. The current monetary regime, therefore, has no longterm future. There are two options for the future: a deepening of European integration that removes the shortcomings of the monetary regime and increases opportunities for political intervention to compensate for unequal development, or the break-up of monetary union. The question of whether to deepen or reverse European integration is increasingly leading to divisions across the political landscape (see Nölke 2015). Depending on how the relations of power develop within the EU, a deepening of ties or a break-up of the euro area could take very different forms and imply very different situations for the subjugated classes in the EU. the globally oriented fractions of capital. The European banking union and the attempts to increase the control of national fiscal policies by changing European treaties or by developing additional treaties (European semester, six-pack, two-pack, fiscal compact), already point in this direction, as do Chancellor Angela Merkel’s plan for a “compact for competitiveness,”1 Juncker’s plans to ‘complete’ economic and monetary union2 and the European Commission’s action plan to create a ‘capital market union’.3 The final form of deepened integration is relatively unclear, because numerous differences between the central actors remain unsolved. The French government emphasises the need to strengthen supranational institutions and the fiscal capacities of the EU, whilst the German government would prefer a permanent institutionalization of a restrictive fiscal policy and intergovernmental control of the EU administration. Whether the German or the French version of deeper integration prevails, will depend greatly on developments within the resistance against austerity policies, the future orientation of social democrats within the EU and on whether an alliance of social democratic governments in the crisis countries headed by France establishes itself. 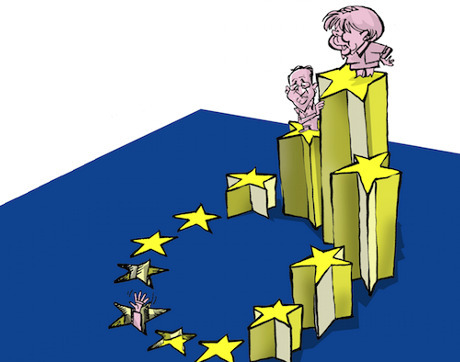 Despite the differences between neoliberal-conservative and social-liberal forces, this scenario would imply the continuation of the authoritarian neoliberal form of integration that has dominated development in the EU over the past years; notwithstanding the various possible modifications that would have to be made in the case of a compromise between the German and the French approach. The current plans are not yet suited to counter effectively unequal development. Depending on which version of the authoritarian neoliberal deepening of European integration wins the upper hand, the EU could plunge into an even deeper crisis. The EU’s blatant democracy deficits would increase in an economic union designed foremost to block expansive economic policies in individual countries and curtail the budgetary competencies of national parliaments. This would not solve the crises of the EU and the monetary union but rather provide them with a form of movement and muddling through would continue for some time. This scenario would require progressive as well as reactionary nationalist forces to be fenced in or integrated as subalterns. Both sides however are becoming stronger with their criticism of the EU. Despite the growing strength of opposition, this scenario is currently the most likely because it is supported by the hegemonic fractions of capital in Germany and the EU that are focused on the world market (see Heine/Sablowski 2013, Georgi/Kannankulam 2015). Nonetheless, a possible conflict between German and French economic interests could block this scenario and open the door for another scenario. right-wing populist and nationalist forces. Front National were to form the government in France, they would probably have to make concessions to their policy stance toward Europe, under the pressure of the globally oriented fractions of capital, and renounce their plans to exit the monetary union. This is however far from certain. In the case of an ‘exit’ under the hegemony of right-wing populist and nationalist forces, the process of ‘internal devaluation’ would not necessarily be brought to a halt. Rather, it would be combined with a devaluation of the country’s currency, with the goal of enhancing the competitiveness of domestic capital at the cost of others. of course would occur alongside the nationalism, racism, sexism and the suppression of minorities that characterizes the politics of the extreme right. The first two scenarios do not mutually exclude each other, as remarks by German Federal Minister of Finance Wolfgang Schäuble clearly demonstrate. Individual countries could even exit the euro area (or be de facto excluded, as proposed in the case of Greece), whilst other countries deepen integration. The experiences of the first Alexis Tsipras government in Greece demonstrate that it is impossible for individual countries to block austerity policies inside the euro area as long as a conservative neoliberal majority controls the ECB and can use its power as an instrument to extort a left-leaning government. The left in the EU is therefore increasingly discussing a ‘plan B’, the possibility of left-wing governments exiting the euro area. If left-wing governments were to form again in the euro area and if they decided not to bow to the demands of the conservative-neoliberal block, a ‘lexit’ (left-wing exit) would be an important element of self-assertion. Of course, this would require overcoming the left’s ‘sacralization’ (Wahl 2015) of the euro and the EU, and that there are majorities in the concerned countries in favour of an exit from the monetary union and the EU treaties. As is well-known, the polls in Greece showed a lack of support for this aspect. 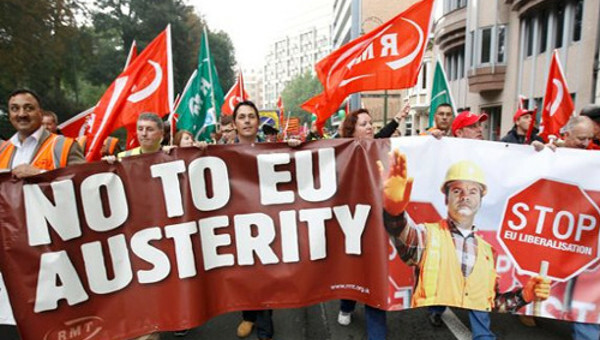 A unilateral exit from the monetary union would be very hard to achieve under conditions of sabotage against left-wing governments, and this needs to be reckoned with. The introduction of a new currency would require several months of preparation (see Sapir 2011), whereas the ECB could wreak havoc in a matter of days by denying cash to banks. the hazards of devaluation, but also of capital outflow and other acts of sabotage, because the ruling classes would not ‘trust’ a left-wing government. To cushion the negative effects of currency devaluation and the economic war waged against it, a left-wing government would have to take drastic measures. 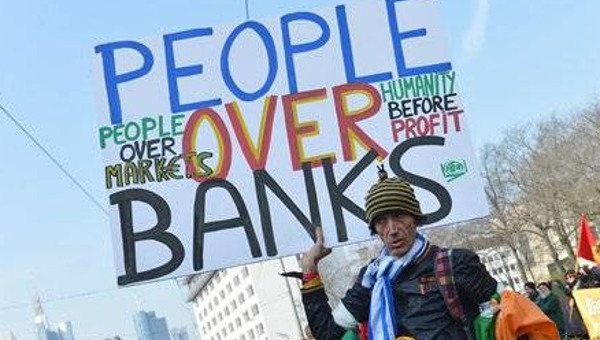 Banks would have to be nationalized, and controls on capital and foreign trade would have to be imposed etc. strict controls over key economic sectors even beyond the banks. Only in combination with such measures would exiting the monetary union make sense from a left-wing perspective; this is what differentiates a ‘lexit’ from an ‘exit’ guided by a conservative-nationalist block. However, a ‘lexit’ would also imply a break with the European treaties, in particular with the free movement of goods and capital. left-wing French government at the beginning of the 1980s under François Mitterrand shows that even when a country has its own currency, serious external economic restrictions remain that limit a left-wing government’s scope for action – not to mention the option of taking military action against a left-wing government, such as happened with the Unidad Popular government in Chile. Even for countries with a weak industrial structure, however, taking an alternative developmental path is not completely impossible, although it would be very precarious, as developments in Cuba show. away, the easier it becomes for further countries to do so. Asynchronic national political developments, however, pose the greatest difficulty here. 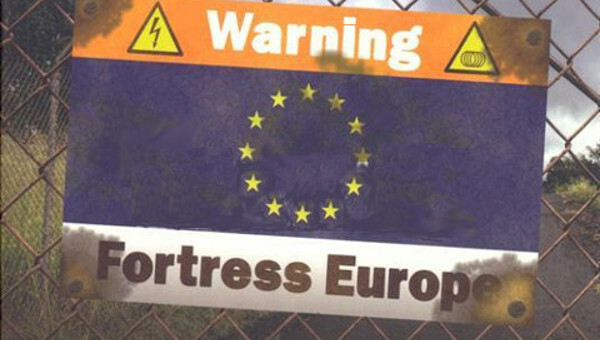 If a number of countries were to break with the neoliberal EU treaties, this would not necessarily lead to nationalist isolation and competitive devaluation, but could instead create the space for the re-foundation of Europe. A re-foundation of Europe would be hard to implement in the current EU framework, because changes to the EU treaties require consensus among all EU member states. A single country can veto progressive changes to the treaties. This would obviously find the support of the ruling classes of all countries. It is therefore illusory to believe that a left-wing government in Germany or even left-wing governments in the central EU countries would have the power to enforce such treaty changes. The German government’s current power in the EU is based on the support of German capital. This would no longer be the case, if Germany had a left-wing government. governments of these countries and social movements. These alliances could lay the foundations for a new solidarity-based form of European integration. In our view, this is the most desirable scenario, yet also the hardest to achieve. It would require a hegemony of anti-neoliberal and/or socialist forces in each country. European Commission (2015): “Action plan on building a capital markets union,” COM(2015) 468 final. Brüssel, 30.9.2015, accessed on: 15.2.2016. Heine, Michael/Herr, Hansjörg (2006): Die Europäische Währungsunion im Treibsand. In: PROKLA 36(3): 361–379. Juncker, Jean-Claude et al. (2015): “Completing Europe’s economic and monetary union,” accessed on: 15.2.2016. Merkel, Angela (2013): “Rede von Bundeskanzlerin Merkel beim Jahrestreffen 2013 des World Economic Forum,” Davos, 24.1.2013, accessed on: 15.10.2015. Milios, John/Sotiropoulos, Dimitris P. (2013): Eurozone: die Krise als Chance für die kapitalistische Offensive. In: PROKLA 43(2): 317–334. Nölke, Andreas (2015): Abschied vom Euro? Europas Linke nach der Griechen-landkrise. In: Blätter für deutsche und internationale Politik , 60(9): 68–78. 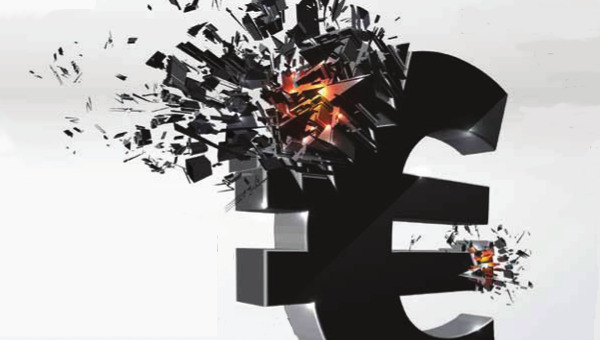 Sapir, Jacques (2011): “S’il faut sortir de l’Euro… Document de travail,” CEMI/EHESS, 6.4.2011, accessed on: 15.10.2015. Wahl, Peter (2015): Linke Sakralisierung von Euro und EU. In: Sozialismus 42(10): 32–35. See Juncker et al. 2015. Frederic Heine is a political scientist and activist, and researcher with the Rosa Luxemburg Stiftung in Berlin.